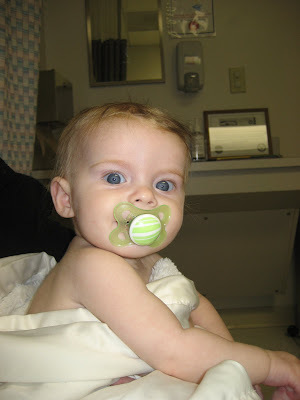 Schoolhouse Ronk: No hospital stay for Kenley!! So basically there is nothing really to report except that Kenley has gained some weight and we will not have to go to the hospital! No failure to thrive here! Praise the Lord! I was thinking about you guys today! btw, tell Kenley that I love her strategically placed foot in that first picture. It cracks me up! oops, I just said the same thing as Maryn. Not a copy cat really. Praise God! I've been praying!